Tradition meets modern in Raleigh’s new Chloe women’s model. 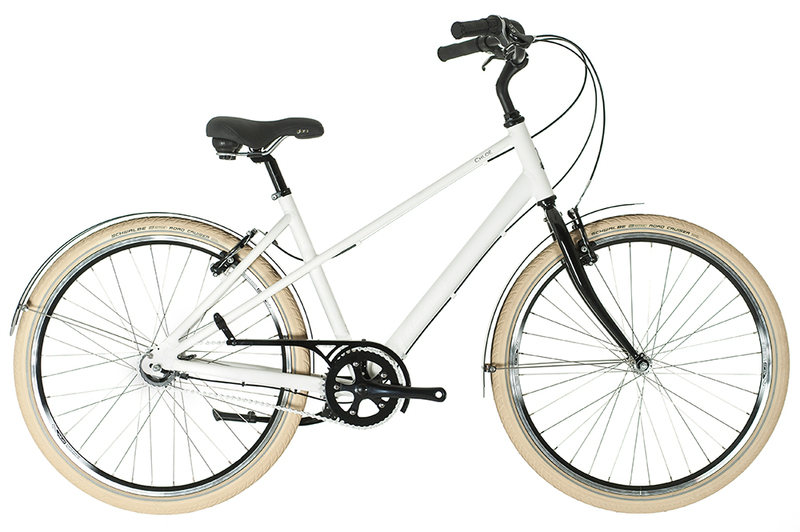 The classic mixte style frame is reborn in lightweight Aluminium alloy. Sram have updated the 3 sped hub gear making it easy to use with a light weight action and tidy cable routing, add cream tyres a comfortable saddle and you have the most stylish way to ride around town.